Have you heard the news? 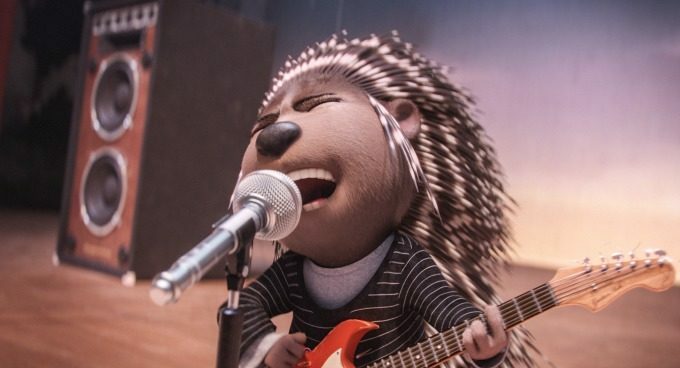 SING Special Edition is now available on Blu-ray & DVD! We try to have a family movie night at least once every couple weeks. They type of movies I look for are ones that are family-friendly and funny with a great cast of characters. 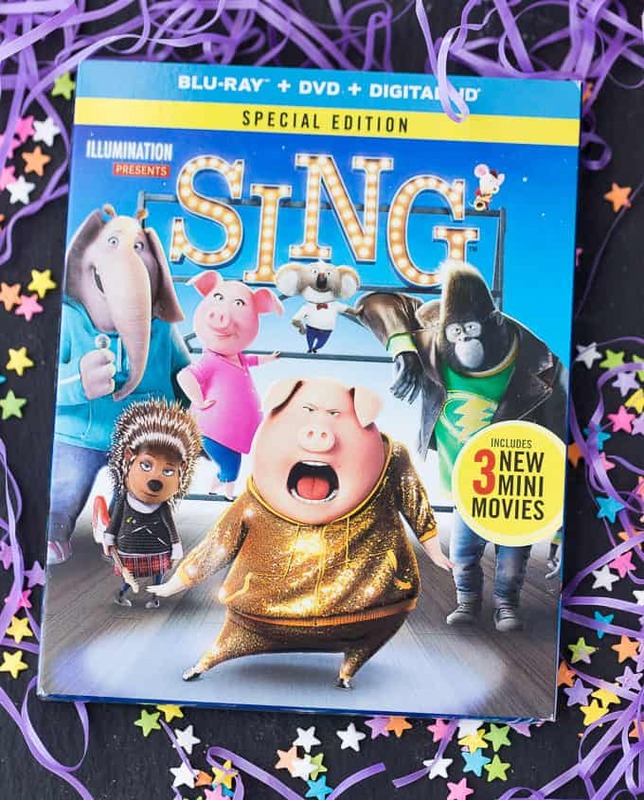 SING Special Edition is the perfect choice for your next family movie night. It’s engaging and entertaining and full of music you’ll know the words for and can sing along. There was lots of toe tapping and singing when our family watched it recently! 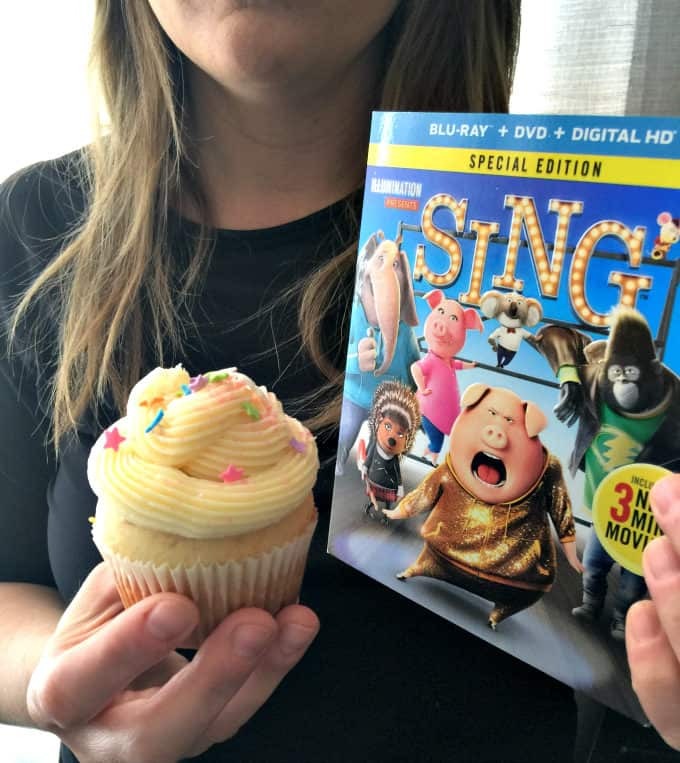 To make our family movie night a little extra special, I made a batch of SING Inspired Cupcakes. My niece, Avery, was visiting from Ottawa for the weekend so I wanted to make sure her visit was memorable. Auntie Stacie likes to spoil her girls. When I was brainstorming for a fun movie-night treat, I wanted something that would be simple to make and that fit the theme of the movie. 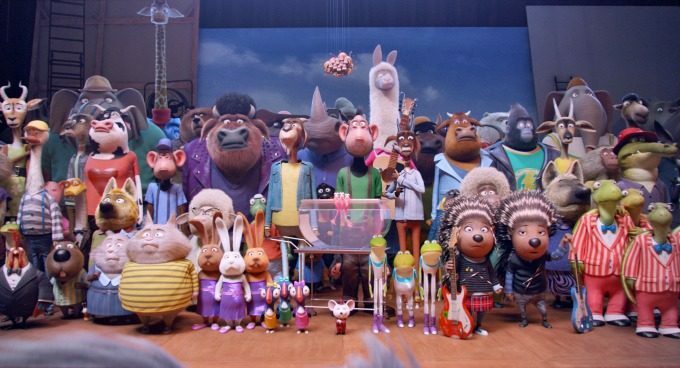 SING’s storyline centres around a singing competition where a cast of animal characters try out to be the star of the show and win the grand prize. I had some star sprinkles and thought they’d be perfect to go with the movie. 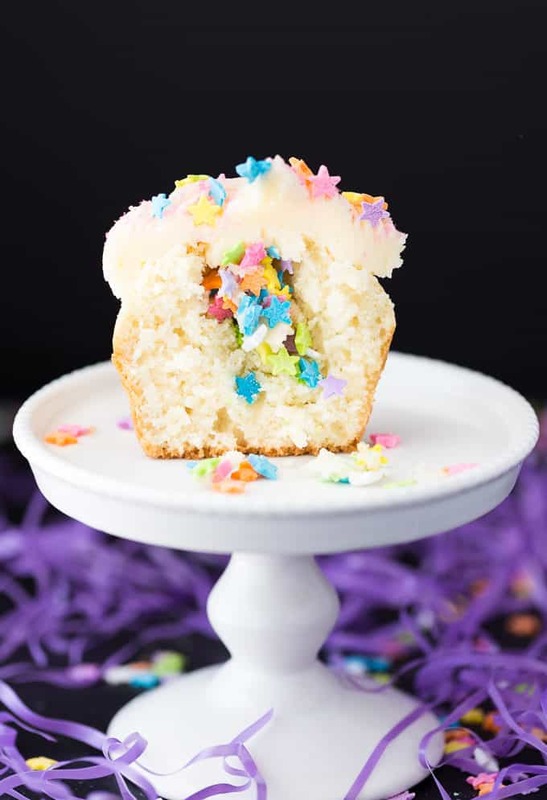 The characters all want to be stars so why not make some cupcakes filled with stars, both inside and out. My daughter’s favourite flavour is vanilla so I made vanilla cupcakes with a vanilla buttercream frosting. After the cupcakes were baked and cooled, I used an apple corer to remove the centre of each cupcake. I filled the insides with sprinkles so once you bite inside you get a sweet star surprise! The girls loved them and ate a couple as we watched the movie. Their favourite part was the star sprinkles inside. 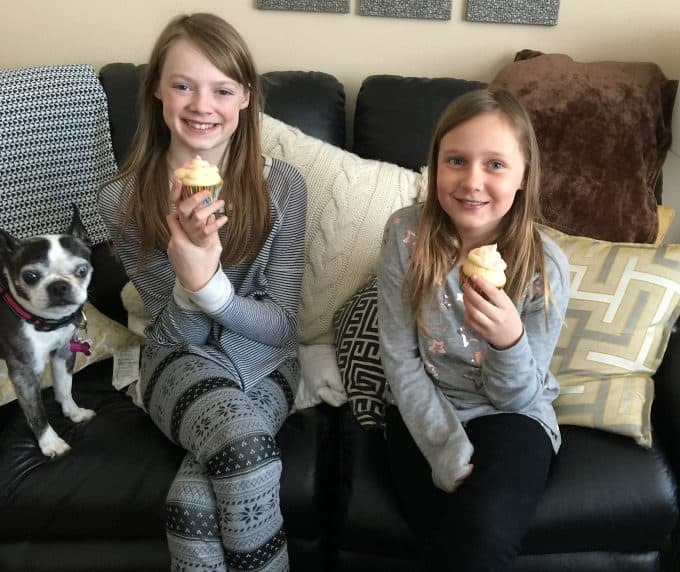 Avery said she wanted her mom to make the “Star Surprise” cupcakes and to give her the recipe. I asked the girls after we watched SING who their favourite character was. Bridget liked Meena, the shy elephant, while Avery said Buster Moon, the koala, was her favourite. If I had to pick one, I’d say Rosita, the pig. She’s a mom like me (except with way more children!) who can think outside the box in order to pursue her dreams. I wish I had my house automated the way she had hers! SING is filled with popular songs so your family can sing along. In fact, it has over 65 hit songs so there is no shortage of music here. It also features the brand new Stevie Wonder song (featuring Ariana Grande), Faith. I’ve been a Stevie Wonder fan since I was a kid in the 80’s. Faith is his first song for a major film release in 25 years! The fun doesn’t have to end when the credits start rolling. SING has over 60-minutes of bonus content to enjoy including three mini movies featuring the cast from SING, an exclusive Tori Kelly music video plus a variety of musical extras. I guarantee there will be smiles on everyone’s faces after you watch it! SING was also nominated for the Golden Globe for Best Animated Feature and Best Original Song. Ready to plan your next family movie night? Great! 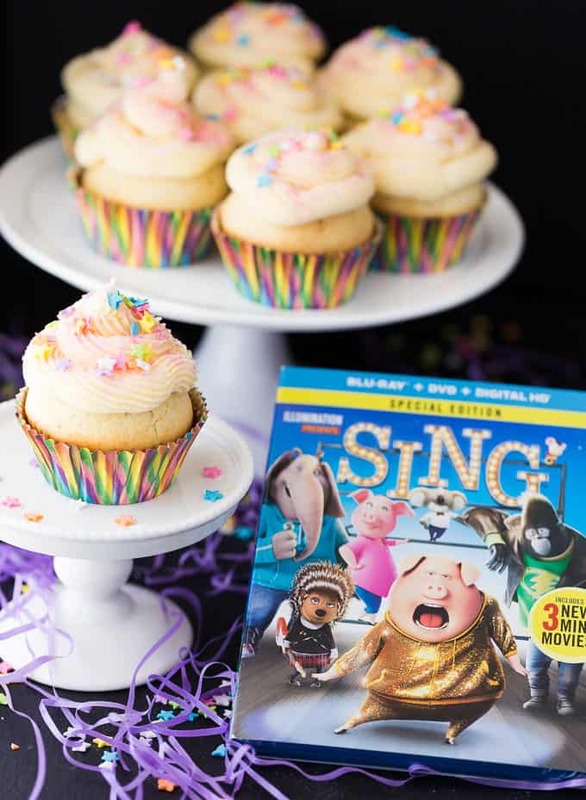 Grab a copy of SING Special Edition and bake my SING Inspired Cupcakes with your kids. I know you’re going to love them both! Have you watched SING Special Edition on Blu-ray & DVD? Connect with SING on Facebook, Twitter and Instagram. Sweet vanilla cupcakes with a star surprise inside and topped with a smooth vanilla buttercream. 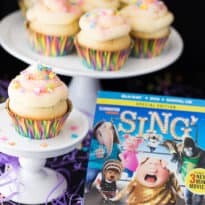 Make a batch for your next family movie night to go with the movie, SING! Preheat oven to 350F. Line a muffin tin with cupcake liners and set aside. In a mixing bowl, beat butter and sugar on low speed until combined. Add eggs, one at a time, and continue to mix on low speed. Add in milk and vanilla extract and mix to combine. Add the dry ingredients to the wet ingredients in three parts while mixing on low speed. Fill muffin tins with batter about 3/4 way full. Bake 25 to 27 minutes or until a toothpick comes out clean. Cool in pan for 5 minutes and then remove to a cooling rack to cool completely. 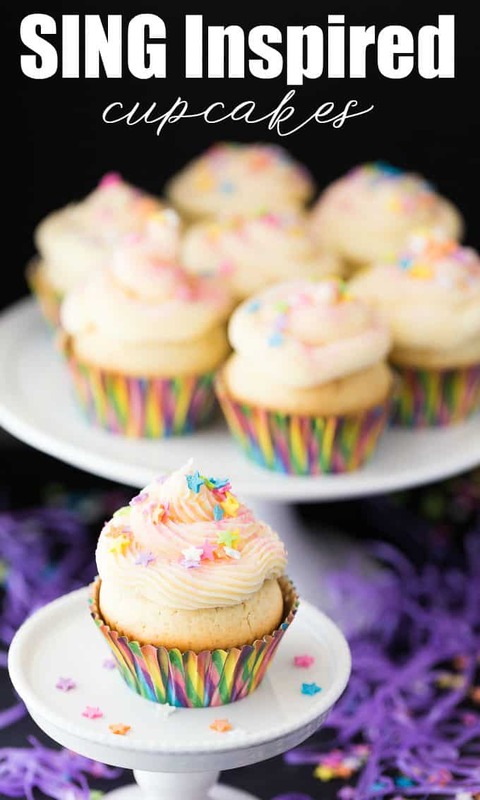 Once cooled, use an apple corer to take out the center of each cupcake. Be careful to not go too far down or you’ll puncture the bottom. 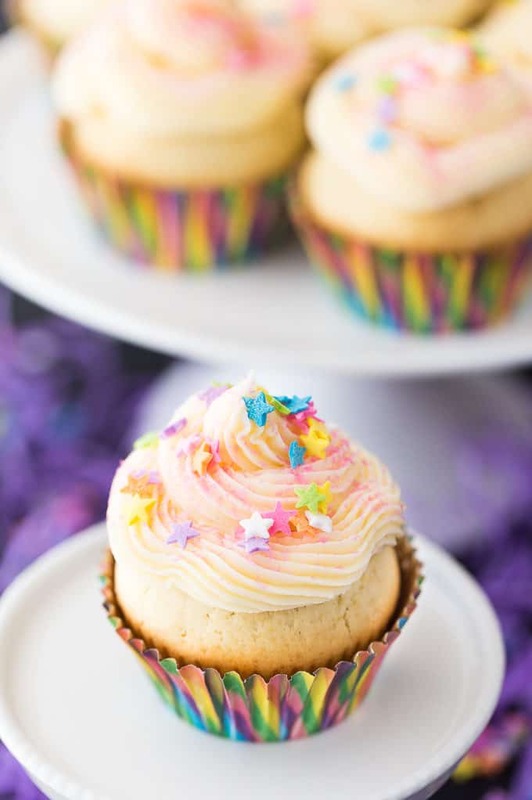 Fill each cupcake with star sprinkles. Beat butter on low speed with a mixer. Slowly increase the speed to medium. Add sugar, one cup at a time, on low speed. Add vanilla extract and salt. Beat on low until combined. Increase speed to medium high and beat for 3 to 5 minutes until whipped, fluffy and creamy. 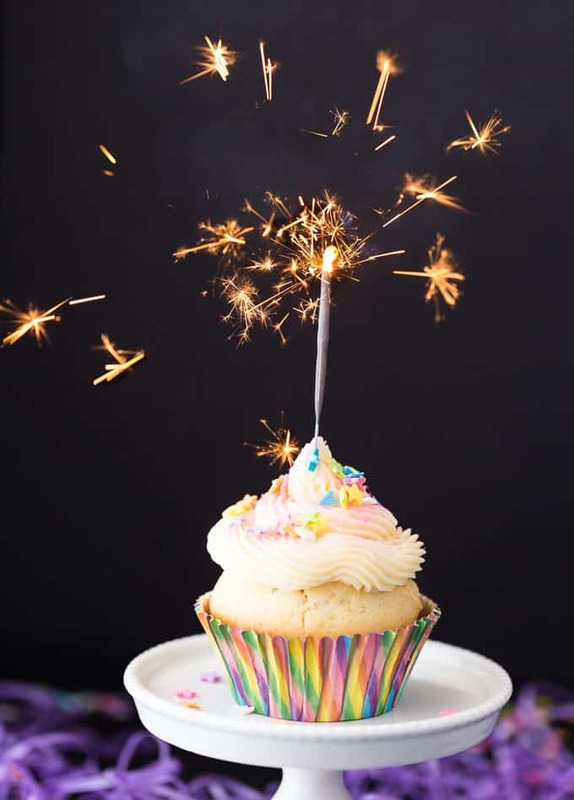 Using a decorator tip and bag, frost the cupcakes. Garnish with star sprinkles and sugar sparkles, if desired. We haven’t seen the movie yet, but would love to. I haven’t seen it yet. It looks good. No, I haven’t watched it yet, but I can’t wait too. Not yet. I’m waiting to watch it with my niece! I haven’t had a chance to see the movie yet. We haven’t seen it yet, but we’d love to! It looks so funny! I saw it with my 3 kids. They really enjoyed it at the movie theater with popcorn and comfy seats! I haven’t seen it yet but it looks funny! i haven’t watched it but my daughter wants to see it. Thanks for the SING combo pack. It arrived already and we’ll enjoy the movie immensely and over and over again.